Bill Palowski served in the Air Force for 23 years. 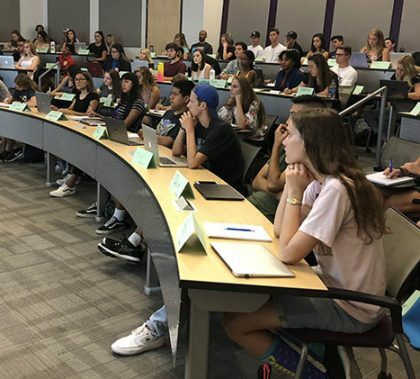 Christina Herman was a GCU student who changed her major three times and wasn’t sure what she wanted to do as a career. 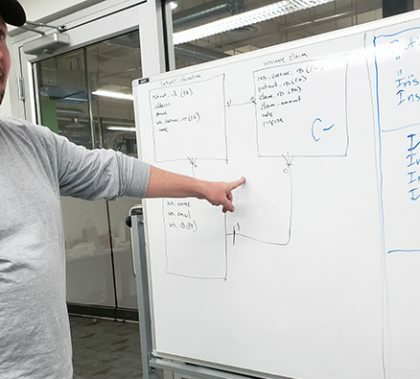 But after immersing themselves in four months in GCU’s Java Certificate Program, the new coders both were hired, before graduation, by a large technology consulting firm. 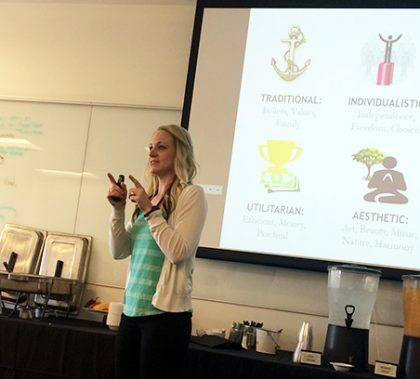 They are examples of the success of the program, which made its debut this year. 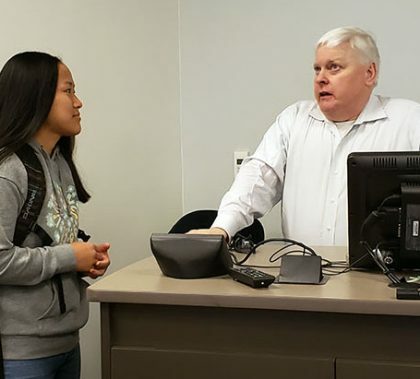 Palowski, Herman and five other Java boot camp students are finishing the camp Friday and held a showcase this week for industry leaders. You have one minute: Rant on the topic of “Pockets.” Go! 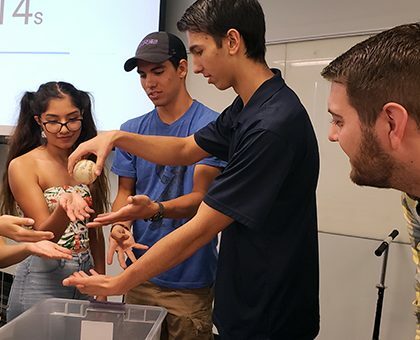 It was just one of the activities freshman engineering students tackled in Excellence in Engineering, a series of six workshops covering everything from resume-building to handling stress and public speaking. The workshops, led by engineering students, also are designed to build a sense of community in the department. 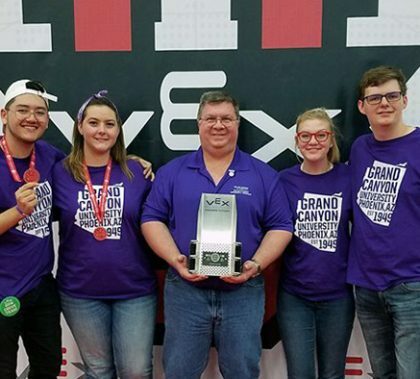 GCU’s Robotics Club left Louisville’s Kentucky Exposition Center to decompress after failing to advance to the final matches of the VEX Robotics World Finals — an international event featuring about 1,100 teams from middle-school to collegiate levels. But then they heard they left a little early — the team ended up winning the Judges Award, given to a team who the judges think are deserving of special recognition. 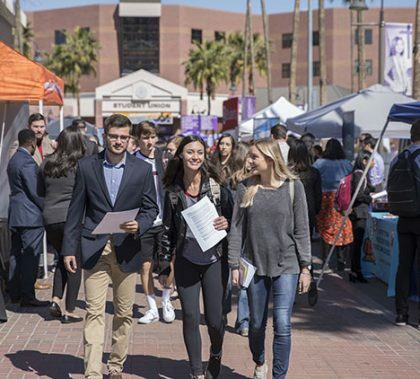 The campus was about as busy as it will ever be Thursday when the Job and Internship Fair took over. 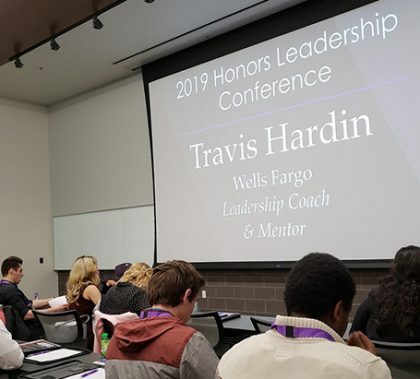 There were tables everywhere — and plenty of sharply dressed students looking to impress potential employers. It was the largest job fair the Career IMPACT Center has ever put on.